The Grand Budapest Hotel recounts the adventures of Gustave H (Ralph Fiennes), a legendary concierge at a famous European hotel between the wars, and Zero Moustafa (Tony Revolori), the lobby boy who becomes his most trusted friend. Acting as a kind of father-figure, M. Gustave leads the resourceful Zero on a journey. The Grand Budapest Hotel recreates a by-gone era through its arresting visuals and dialogue. The charm and vibrant colours of the film gradually darken with a sense of melancholy as the forces of history conspire against a vanishing world. Juman Malouf – a writer and an artist in her own right – has recreated the eccentric characters in the film as sketches, a kind of flattening of their personalities, distilled into the thin lines and fine details of her penned efforts. 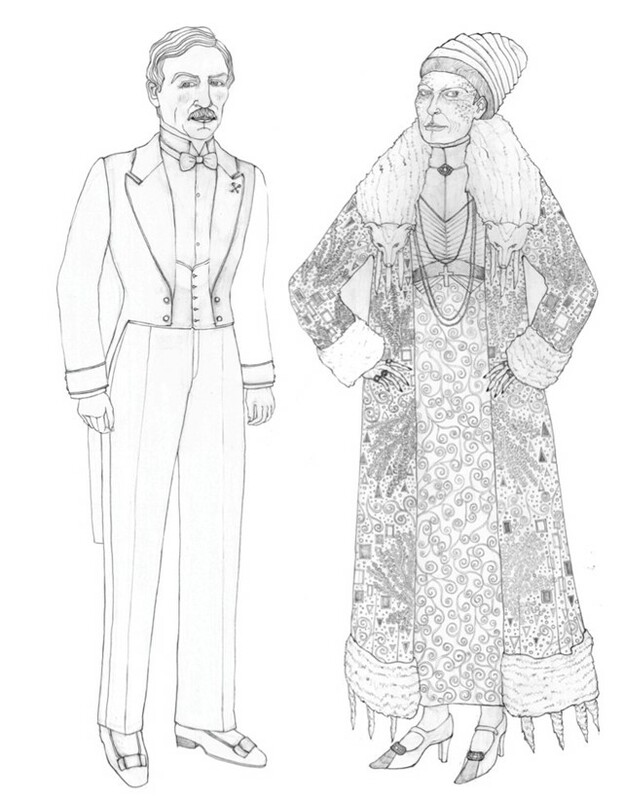 With a paper-doll poise, these sketches sit alongside an illustrated screenplay of the film, published by Faber & Faber. Even in their simplicity, they provide a hint of depth behind how these characters were visualised and brought to life on screen.